This book is about a young boy named Charlie who grew up with less. One day, there is a contest to find a golden ticket in a chocolate bar made by a famous chocolatier, Mr. Willy Wonka. 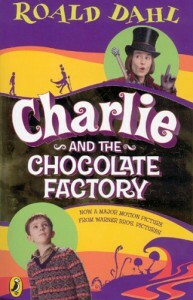 Charlie finds a ticket, visits the factory, and is given the prize of a lifetime. I would use this book as a read-aloud to my students during free time.